• The Global Site Tag (gtag.js) provides a framework for streamlined web page tagging – giving you better control while making implementation easier. 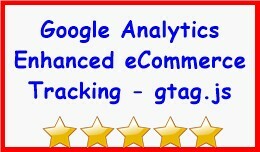 Using gtag.js lets you benefit from the latest tracking featu..
Google Analytics Enhanced eCommerce Tracking - g..
* Display custom columns * View All Order For Particular Product * Quick in place edit * Export All Product * Advanced filters * What does it do? 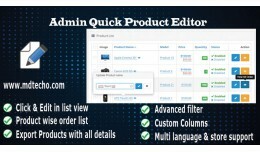 Admin Quick Product Editor modification extends OpenCart Catalog > Products list view page. ..
• Buy 1 Get 1 Free (same product not different, like buy X get X free) • Buy 1 Get 1 -50% OFF (Percentage Discount) • Buy 1 Get 1 -$50 OFF (Fixed Amount Discount) • Apply Buy 1 Get 1 (BOGOF) Offer to sele..
• Save & Stay Extension will save your lots of time • Save & Stay will only be at : -> 1. Admin > Catalog > ALL -> 2. Admin > Customers > ALL -> 3. Admin > Marketing > ALL -> 4. 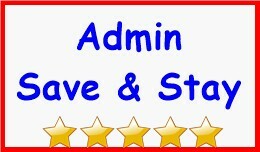 Admin > System > Users > ALL..
• Discount will apply based on shopping cart purchased quantity. 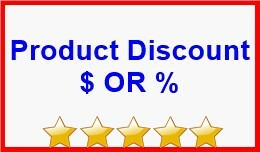 • Offer bulk discount based on shopping cart purchased quantity to your customer or customer groups. • Bulk shopping cart quantity based disco..
• Add unlimited extra description tabs for product • Set each product based custom unlimited tab • Powerful text editor / rich textarea for tab content. you can set any html code, images, video etc • Admi..
• Offer bulk discount to your customer or customer groups. 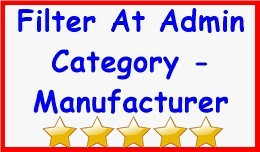 • Bulk discount on products price by categories / manufacturers / selected products • Discount applied on product price. 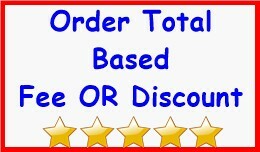 • Set discount between d..
• Setup your custom Fees or Discounts based on order total. • Total From and To range. • Fee / Discount Type : 1. fixed amount 2. percentage • Fee or discount would be either fixed amount or percentage. 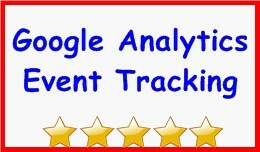 ..
• Google adWords conversion tracking code at checkout success page. 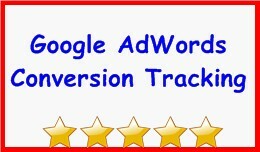 • During module setup you can set google adwords conversion tracking id and label • All Successful orders conversion will be tracked at che..
• Auto send auto generate Gift Voucher code email when new customer register or signup. 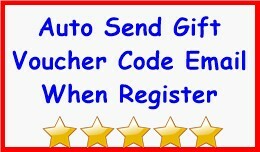 • Auto send Gift Voucher email send once register • Admin and Customer both will receive email • Auto Generate Gift ..
• Admin > catalog > products > bulk update price, quantity and status. 1. 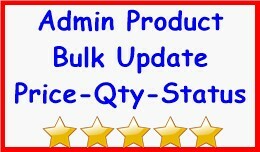 Select products checkboxes and then click on "Bulk update price-qty-status" button 2. 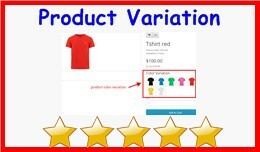 A popup will appear including price, quantity and s.. 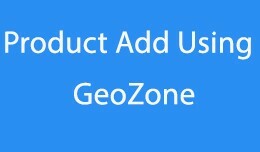 Product Enable Within Region/State disable addtocart button of your products in your store. For example, if you not shipping any product like "Canon EOS 5D"(in demo) within a state(British Columbia ), So when customer login and register coun..
Overview Of Tmd Customer Membership Plan --------------------------------------------------------------------------- Membership extension is the most powerful, features rich, easy to use with this extension Admin can add various membership pl..
• Allow your customer to choose order shipment insurance during checkout. 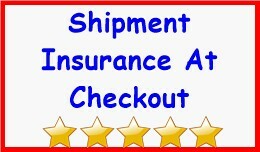 • Insurance fee either fixed amount or percentage value • Fee is calculate based on order sub total • Shipment insurance module wi..
• Grouping the similar products and display as variation products at product page. 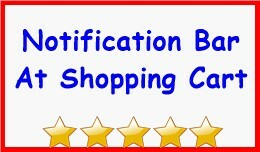 • At Admin > Caralog > product > Add new / Edit > "Link" tab > just above (related product) you can see Product Variation Ultim..
• Display Notification message at shopping cart when order total reached. 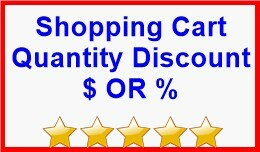 • Useful when display some coupon code or promo code when order total reached at shopping cart page. • Notify Some Information, Messa..
• The Google Analytics Events Tracking : Add to cart, Remove From Cart, Add to wish list, Add to compare, Login, Register, Checkout Step etc • Compatible For All Theme, Extension And All Opencart Version Compat..
• Filter Admin > Catalog > Category list based on category name • Filter admin > Catalog > Manufacturer list based on Manufacturer name • Must need extension when you have large database of category and manu..